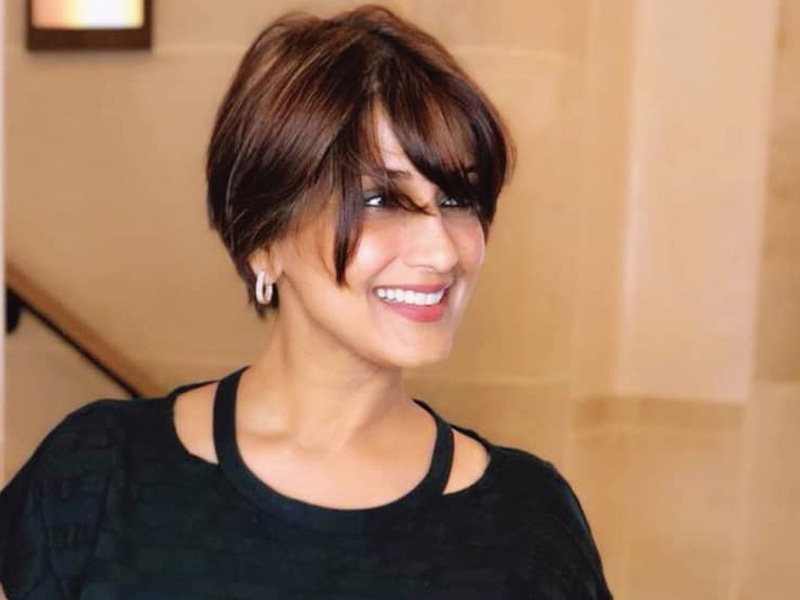 Sonali Bendre's new look as she stands strong is a must watch! Of course, she is gorgeous, but this one time we want to call her, neither beautiful nor lovely, but strong and brave. Well, we bring before you one of the strongest and bravest women of Bollywood, Sonali Bendre. Only recently, Bendre shared a picture telling she has been diagnosed with cancer. Many celebs sent her warm wishes and prayers via Twitter. Sonali took to Instagram to give us a glance at her first step in the fight against cancer. The bold and beautiful actress got a chic-like haircut to gear up for the fight. We send Sonali a truckload of love and strength to get through the most difficult chapter of her life. Entertainment - U.S. Daily News: Sonali Bendre's new look as she stands strong is a must watch!